General Mugisha Muntu the President of FDC challenged the Ugandans to decide on what kind of Uganda they want to see noting that the integrity and stability of the country is hanging in the balance so Ugandans should not expect any sort of reform to come on a silver platter. “There is no country in the world that enjoyed freedoms and rights that got them on a silver platter.” General Muntu said. Norbert Mao president of DP asserted that 2014 is the watershed year that Ugandans will think and determine what the future of their country will be. All who desire peace, democracy and good governance will have to start now. We owe it to ourselves, our children, our children’s children and this will only be achieved if we unite. Mao said. 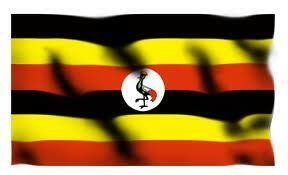 Are free and fair elections attainable in Uganda? This question seemed to be the question that lingered in the minds of the people as was revealed by the skepticism that trickled from the participant’s reactions at the launch of The Call for Free and Fair Elections. The call is very optimistic, well researched and written, great diction, clear objectives and implementation plan that suggests electing a new electoral commission, new voters registers, role of security forces and militia, massive diversion of public funds, demarcation of electoral boundaries, freedom to organize and assemble, selection of presiding officers, processing of electoral materials, ensuring integrity of tallying process, adjudicating presidential election dispute. Although these demands look like a utopian suggestion, I am convinced that this would be possible if only the opposition could stop the internal squabbling. From the 2011 election, the apathy that is revealed by the 48% of Ugandans that did not vote does not only expose the poor electoral system but also but also the nakedness of the opposition. The power struggles and disunity within the opposition turns off the people of Uganda. It wouldn’t come as a surprise to know that majority of Ugandan youth have held their hips akimbo and behave as though the politics of the nation is not their thing.